It is golden time for transfering tradition television to internet television, said Internet TV Phan Thanh Gian, managing director of Clip TV at a seminar under The Vietnam International Exhibition on Film and Television Technology (Telefilm), organized by the Television Advertising and Services Center (TVAd). The number of internet users in Vietnam is around 47 million people, accounting for half of the country’s population including 39.7 million mobile internet users; accordingly, it is golden time for transfering from traditional television to internet television. While traditional television is facing difficulties in attracting viewers, internet television becomes a new trend; however, it is both opportunity and challenge for people working in the field. With the rapid development of internet services, especially the transmission speed, and the growing tendency of watching films on demand, the online TV market has become bustling in Vietnam, Gian said. 2016 is the year which has seen the transmission. 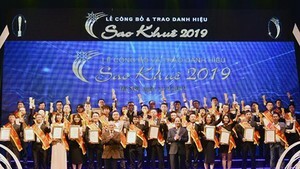 Director of Bac Dau Star Pham Thanh Nam concurred with because he said internet users are transfering to the second screen, an independent equipment with television and it is becoming one of integral part of the experience. Pham Anh Chien - Managing Director of Vietnam Television Digital Center (VTV Digital Center) said that people spend less time to watch programs on traditional television while more people are attracted by online television. At present, not only television broastacaters but also telecommunications service providers such as YouTube, Netflix, Iflix, VTV Go, FPT Play, Danet, ZTV, Clip TV, My K+, Daily motion. Founder amd manager of Umbala Nguyen Minh Thao said that the company wants offer playing ground for normal people especially teenagers. Phan Thanh Gian said that the company has lost million of dollar through five years yet the company will continue maintaining the operation because he believes that Over-the-Top content, a term used in broadcasting and technology business reporting to refer to audio, video, and other media transmitted via the Internet as a standalone product, that is, without an operator of multiple cable or direct-broadcast satellite television systems will have place in Vietnam. Shaun Ray Mr. Shaun Ray, Head of Architecture AWS, SouthEast Asia Amazon said it is the fast and cheap way to access viewers. As per Pham Anh Chien’s statistic, digital advertising turnover in 2016 in Vietnam reached $58 million and it is expected to surge to $76 million in 2017 and $171 million in 2020. Accordingly, Pham Thanh Nam said that online television development is a chance for broadcasters to increase income. In addition to maintaining the faithful viewers, broadcasters should attract new viewers on OTT to maximize its turnover as advertising on internet is skyrocketing. Braodcasters need to prepare good content. The current challenge for internet television providers are to attract more customers and measures how long viewers spend time on television. 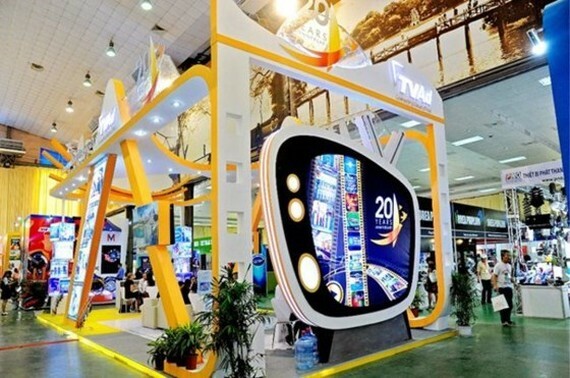 VTV Go has planned to have staffs for OTT; accordingly viewers will have more choices, said Gian while Thao and Chien stressed on interaction with viewers to offer attraction. Producers admitted that many program on OTT are poor quality in Vietnam. Moreover, there has been not much series of film produced for OTT only while foreign company like Netflix seemed to be more efficient.